We Eat Films / Featured / Movie Review: “Stories We Tell” – Truly Unique, Uniquely True. Movie Review: “Stories We Tell” – Truly Unique, Uniquely True. That title is clever as hell. 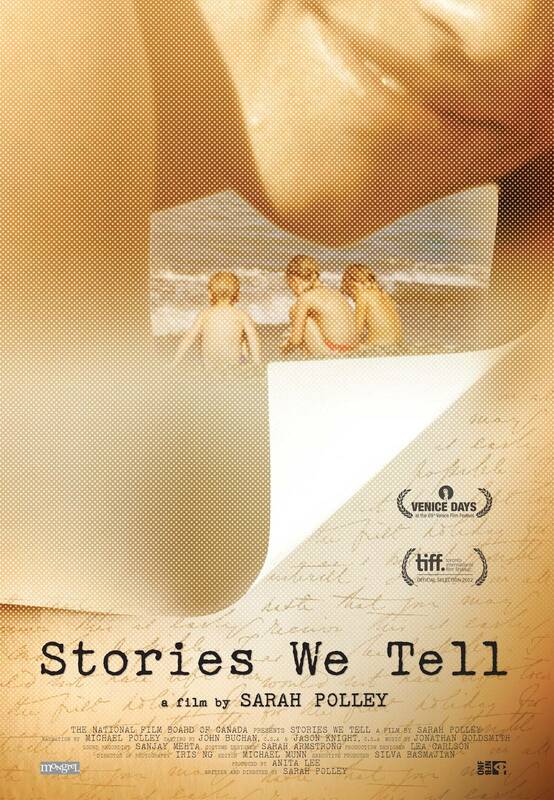 Anyways, “Stories We Tell” has got to be the most interesting film I’ve seen all year. It’s kind of hard to describe and I’m kind of an idiot so please bear with me. “Stories We Tell” is a kind of self-exploration; a documentary where the subject is the director’s own past. 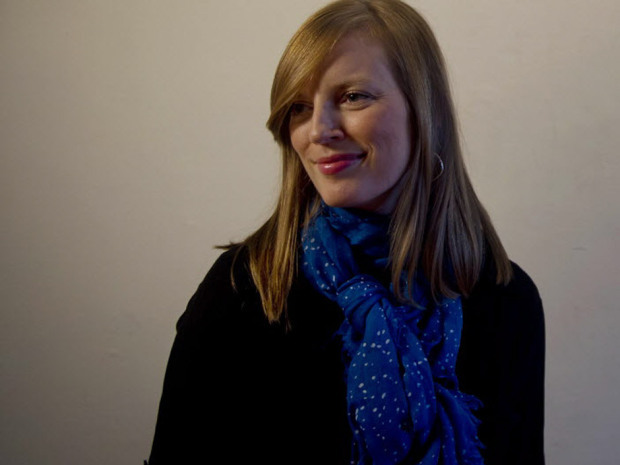 Director Sarah Polley is investigating the life of her deceased mother, and presents this investigation in a series of interviews with her family, and every close friend and acquaintance her mother ever had. What results is a personal tale that has managed to give us all a reason to look back at our own past, and to maybe consider that what we remember doesn’t always tell the whole story. Basically the film is about memory, what we remember, and how we perceive the memories. It’s like that movie “Rashoman”… or was it “Rashamon”? …“Rashida Jones?” It doesn’t matter. The upshot is our memory of events isn’t always the correct interpretation, or even the entire one. During the film we frequently see events presented in a certain light, and from a certain perspective. Then we are given new information, from another source, so that when we see the same scene again it is perceived in an entirely different way. (These memories come in the form of home movies. A lot of home movies. Remember that scene from “Christmas Vacation” where Chevy Chase watches those old movies in his attic? Imagine that for two hours). The film makes a point of demonstrating that we all have different perspectives that need to be considered, and no one has the entire picture. It’s cool. 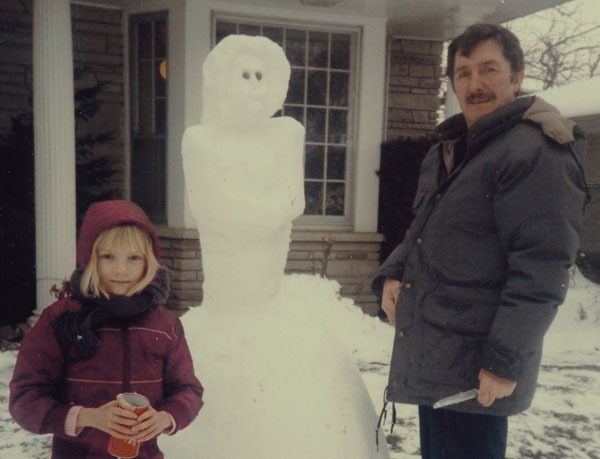 That snowman is freaking horrifying. The film uses a kind of puzzle piece structure to really keep you interested in a subject matter that would normally be super boring and lame. As you move through the memories, more and more pieces added to the puzzle. Like a trail of breadcrumbs, except they are puzzle pieces, and instead of a candy house it’s a house of mistakes and deceit. It’s a really effective way to string you along through the story, revealing more and more of the mystery as you progress. And what’s more, at the end of the film there’s a rather clever… well I don’t wanna call it a twist, because that implies it changes course of the film like “oh she’s been dead the whole time bluh blah bluh bloo bloo”, it’s more like a re-contextualization. Check out that word ladies. Triple word score. It tosses another layer of doubt into everything we’ve already seen. It’s wild stuff. I mean she’s nice and all, but she’s no Rashida. All in all though, I really really enjoyed this. It made it almost bearable to sit in the smelly Hyland Theater filled with old ladies (and not even the hot kind either). It’s a very unique kind of film, the kind that stays with you afterwards, the kind you will mention you saw when you want to impress people. And isn’t that really the whole point of cinema? There are currently no comments on Movie Review: “Stories We Tell” – Truly Unique, Uniquely True.. Perhaps you would like to add one of your own?